Back in May of 2014 I worked on the third season of Crackle’s hit show CHOSEN, producing a huge number of visual effects shots for Ben Ketai’s action-packed television/web show, starring Chad Michael Murray and Rose McGowan as an assassin and mother of two teenage kids. 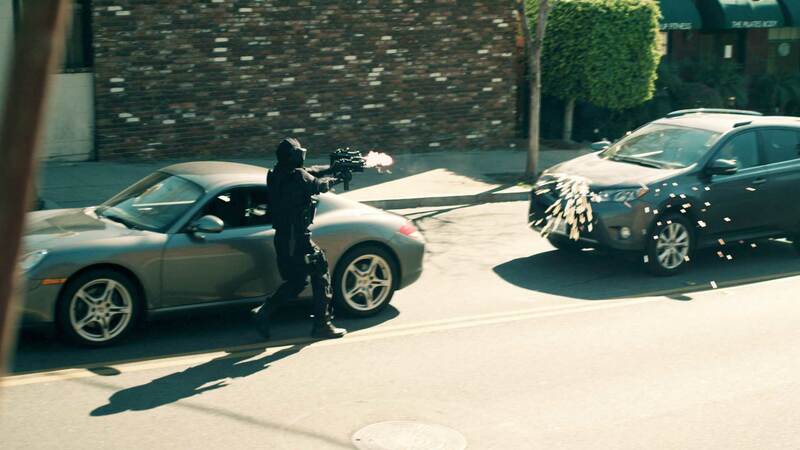 This included a challenging sequence involving cars and automatic weapons, made all the more difficult because all damage and gunplay was digital and both schedule and budget was tight. This involved a careful series of choices, because one misplaced spark hit could mean another dozen shots that needed fx work, with a rapidly shrinking timetable. I think the final sequences were both exciting and visually interesting, in spite of the numerous challenges and limitations. All muzzle flashes, sparks, ejected shells, and vehicle damage are digital, produced by ZaneFX.